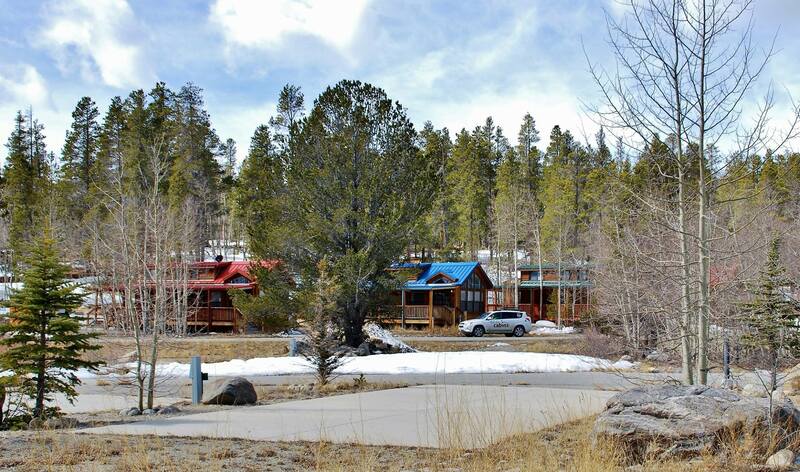 With 20+ existing cabins, several RV’s, tiny houses on wheels, 10+ RV lots ready to go, a fully equipped club house, community recreation areas, and a private, secluded entrance, Whispering Aspen Village is a mountain retreat for small-living. RV LOTS ARE FOR SALE! Come join us and you’ll have your own lot with water and sewer tap fees paid (appr $16,000 per lot), which can be used year-round! 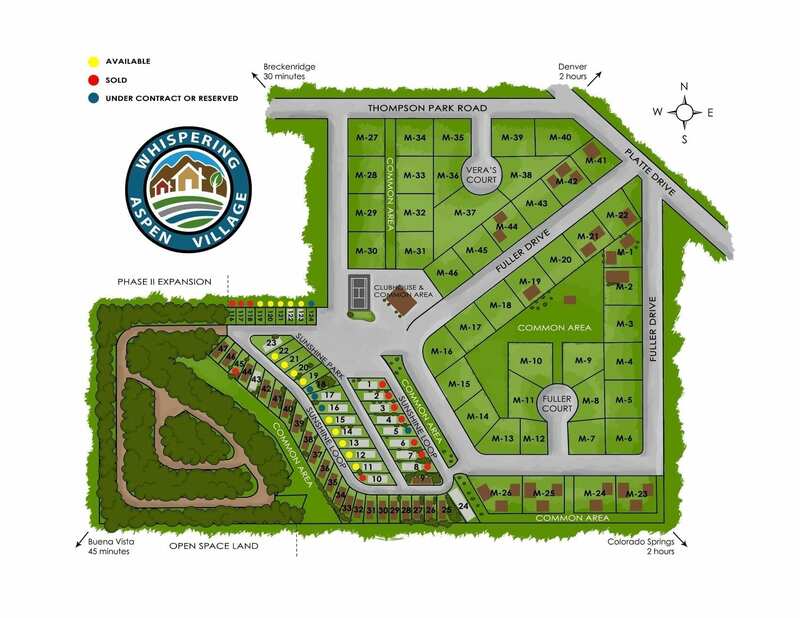 The lots are zoned RV and it allows tiny houses on wheels, RVs, campers, motor homes, and trailers. We have 3500 sq. ft. lots available - starting from $32,900, as is. Cool! What kind? Because so many people, so many communities. Communities can be a small group of people living closely together. Newspapers are delivered at the common area or tools are for shared use and stored in a communal shed. People eat together on a weekly base for example. There are also communities where people know their neighbor and care about the neighborhood and have something in common, the community. They like their own privacy too. Whispering Aspen Village is that kind of community. It's growing as a community. More new home and lot owners are joining the Village. 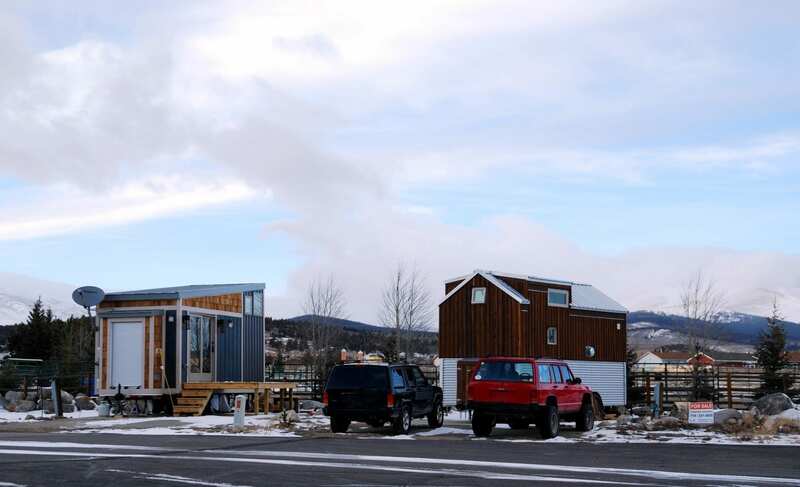 It's an eclectic mix of cabins, tiny houses on wheels and RVs. Plus an eclectic mix of full-time residents, second-home owners, and renters. Wish to have your own space but wish to know your neighbor too? This may be a nice place for you to stay during your vacations, weekends, or even year-round. THE HOA, BECOME MEMBER OR NO? The available RV lots are not part of the HOA. You can join the HOA upon purchase or later if you want to. The HOA takes care of the main amenities, snow plowing in winter, overall landscaping of the resort, trash, and clubhouse maintenance. Fee? Yes, $95 per month. No HOA member? No use of main amenities. A cool mountain town it is, with approximately 700 residents. Yet, you can find everything you need, including some unique shops or places to drink and eat. Go for a 10 to 15 minute walk into town, and you can have a latte at Java Moose (their berry cake is to die for! FYI), or grab a beer at the local award winning brewery, South Park Brewing. They do tastings too! In old down town Fairplay you can visit the open-air museum - South Park City museum. Being an old mining town there is some rich history and lots to show. And while you’re there, Old Town holds several galleries with some amazing local artists. In the last weekend of July, each year, the town of Fairplay transforms into something completely different: the Burro Days with its World Championship Pack Burro Race. We love it! NOTE: make sure to drink lots of water because Fairplay‘s elevation is 9,953’! Darin Zaruba is the president of Z,Inc., founder of the Tiny House Jamboree, compiler of the book Turning Tiny, and developer of the resort’s remaining lots (not the owner of the entire Village or the HOA), which are currently available for sale. If you have any questions we’re happy to be of help. Please leave a message and we’ll get back to you! Houses must be on wheels. Maximum size is 400 sq ft. If join the HOA, there is a minimum housing length of 25 feet. Officially, living in an RV/THOW longer than 6 months isn't allowed, but Park County doesn't enforce it.